In their eternal "wisdom", David Letterman, a man who hasn't made me laugh since Larry "Bud" Melman left us, has been decreed a Kennedy Center Honoree. He might have been funny once, but now he's not. Furthermore, given how President Obama won re-election in part due to the Republican Party's "War on Women", isn't there something disingenuous in celebrating a man who has shown nothing but contempt for both female comics AND female staff? Perhaps that 'war' doesn't exist when it's your own supporters doing the fighting. Well, I decided to try to wrap up some of these lingering suggestions this Christmas season, when the Kennedy Center Honors are broadcast. This year's, which include both the aforementioned Letterman and the defunct band Led Zeppelin, is the first I will be skipping in a long time. Frankly, I don't think it's worth my time. However, since I have a few more names to throw out (and have ignored), I figure, well, why not. With that, here are more recommendations for Kennedy Center Honorees. Vladimir Ashkenazy has been a master of the piano for more than sixty years. A champion of music from his native Russia, Ashkenazy has risen to become a respected conductor as well as a sought-out pianist. Burt Bacharach has been dismissed as either old-fashioned or trite with his songs of love. However, he has won Oscars (for Butch Cassidy & The Sundance Kid's Raindrops Keep Fallin' On My Head and Arthur's Theme) and earned a nomination for The Look of Love (from the original Casino Royale). Yes, I suppose many people saw Frank Langella as the romantic Dracula. I however, never thought of him in such lush terms. Instead, I saw Frank Langella as one of the best actors working despite not being a major star (or star at all). 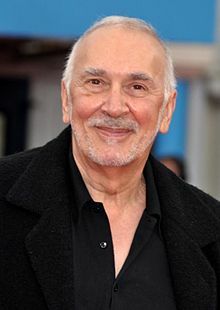 Langella has made his mistakes (Masters of the Universe, Eddie, Cutthroat Island), but at least his stage work, along with some new work such as in Frost/Nixon and Robot & Frank, show him to be a much better actor than most of the parts he's played. A true jazz legend, Marian McPartland is perhaps the only surviving artist from the famous Great Day in Harlem photograph still with us. At 94, her career as a premiere jazz pianist has been even more unusual given her proper British birth and training. 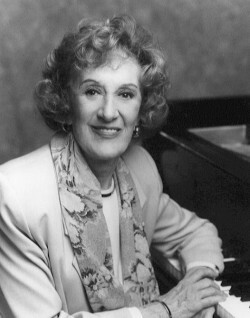 Still, her love for the American art-form ensures that future generations will turn to McPartland long after her actual piano-playing days have passed into history, especially if they were fortunate enough to hear her radio program Marian McPartland's Piano Jazz. Given her age, perhaps Marian McPartland should be given special consideration for next year's Kennedy Center Honors, unless the Spice Girls have renewed success. OMG--could that be...an actual HISPANIC?! Since we know the Kennedy Center can't find any Hispanics worthy of recognition, I did manage to dig at least one up. Carlos Santana's musicianship has been unrivaled for his career. Still playing and influencing musicians old enough to be his grandchildren, Santana has had a long range of memorable songs. He has blended rock with Latin music, creating a uniquely American sound (except to the Kennedy Center, which doesn't think Hispanics are actual people). I have one message to the Kennedy Center Honors Board...You've Got to Change Your Evil Ways. I would imagine that the term "diva" would have been created for Dame Kiri Te Kanawa if it hadn't been around. Te Kanawa's legendary voice has made her one of the great sopranos of our time. Dame Kiri has gained respect for the beauty and clarity of her opera performances. She has also been a bridge between the grand European culture and that of her Maori heritage. Nancy Wilson is not just a jazz legend but one of its great proponents in the popular culture. While health issues have slowed her down, she still has a long record of recordings to back up her reputation as a great singer. She also is someone who was a trailblazer, having her own eponymous television show in the 1960s when the civil rights movement (which she actively supported) still made something so commonplace today (an African-American woman on television) a rarity indeed. Come now... didn't we all find Good Luck Chuck to be funnier than anything the Marx Brothers ever did?